The Air Jordan XI has long been recognised for its patent-leather shine. Now built for modern everyday wear, the timeless Air Jordan shoe arrives in premium fashion with a full nubuck and ballistic mesh finish. 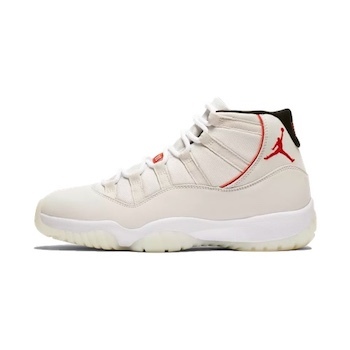 The new design for the Air Jordan XI also brings to life a new Platinum Tint, Sail and University Red colourway.